“The press should never appologise [sic] for publishing true information,” Julian Assange tweeted. During a briefing in Washington on Thursday afternoon, Trump said the “leaks are real,” but “the news is fake.” The remarks created a bubble of confusion online. During the conference, Trump promised to “aggressively go” after “criminal leaks,” and “put [his] people” into government agencies to stop the practice. 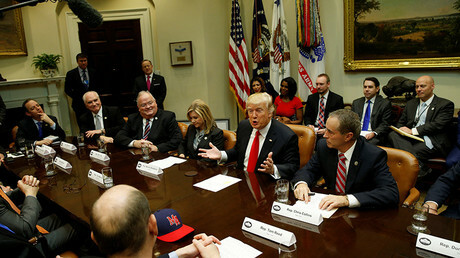 “FAKE NEWS media, which makes up stories and "sources," is far more effective than the discredited Democrats - but they are fading fast!” the US leader added on Twitter. In October last year, Trump said that he “loved WikiLeaks,” the website that made its name disclosing the US diplomatic cables in 2010, though, at the time, Trump was specifically referring to the revelations of the behind-the-scenes machinations in the Democratic Party. While opponents accused Assange of virtually endorsing Trump by leaking the sensitive data which damaged Hillary Clinton – perhaps at the behest of Russia – the Australian whistleblower himself has never thrown his support behind the current US leader. 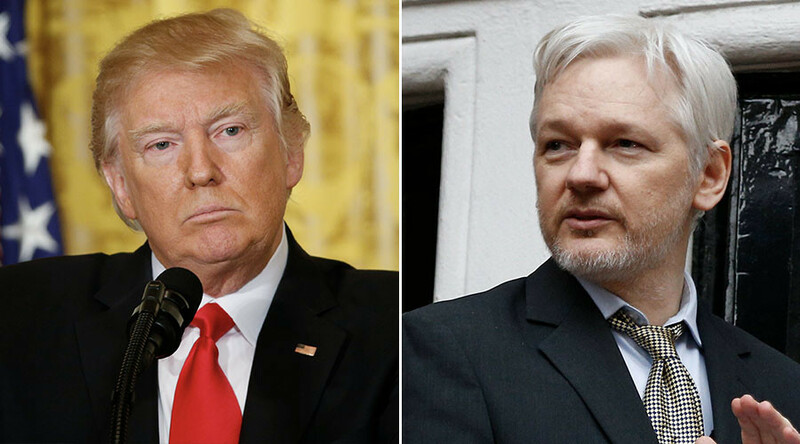 In fact, during a January interview from the Ecuadorian embassy, where Assange has been holed up since 2012, he predicted that WikiLeaks would have no allies in the White House, saying that “the Donald Trump administration will form its own establishment and enter into a power-sharing relationship with the existing powers in DC. No system of authority likes those who undermine its authority."